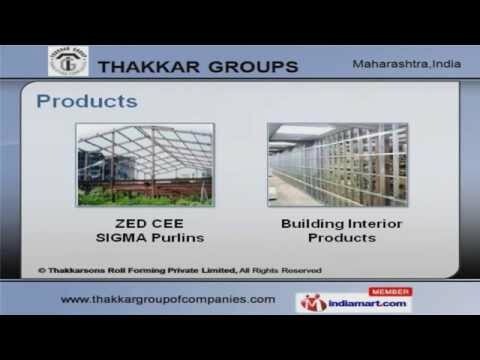 Welcome to Thakkar Groups, Manufacturer and Exporter of Guard Rails, Automotive Assemblies and Prefabricated Structures. An ISO 9001:2000 certified company, established in the year 1990. Our Precision Engineering and Timely deliveries of consignment make us unique in the industry. Capacious warehouse, Effective prices and immense care towards the environment safety are the key attributes of our organization. Residential Premises, Research Laboratories, Power Generation and Sub stations are some of our application areas. We offer a wide array of ZED CEE SIGMA Purlins and Building Interior Products. Our Guard Rail and Collecting Electrodes are well known for their reliability. Prefab Building and Roof Decking Sheets are nothing but the best solution for all your needs. Building Interior Products and Fencings are available at market leading prices. T-Grid False Ceiling Systems offered by us are well known for their functionality.